Digital technologies such as artificial intelligence (AI), Internet of Things (IoT), robotics, 3D printing and blockchain are transforming the pharmaceutical industry world over. Indian pharma also undergoes similar changes, although at a slow pace. 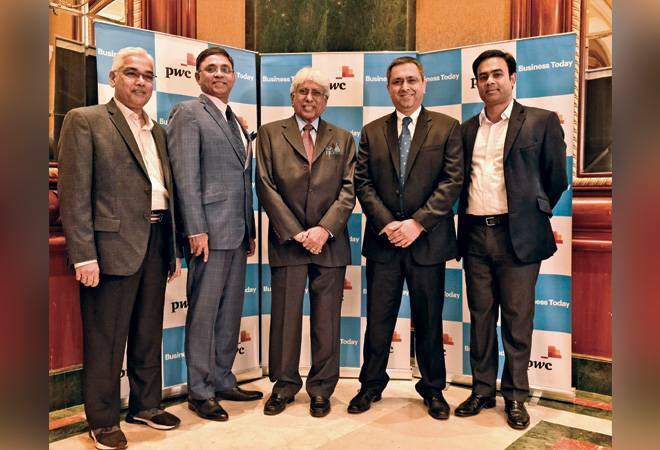 The Indian pharma industry will have to evolve fast and embrace new technologies to tackle the disruptive changes that the industry may face in the next decade, pointed out industry leaders speaking at the Business Today-PwC roundtable on 'Digitisation in Pharma Industry', held in January. In his opening remark, late D.G. Shah (who passed away on February 22), Founder and Secretary General, Indian Pharmaceutical Alliance (IPA), said the industry has vastly changed in the last five decades. "When I joined a top multinational company in 1966, the capsule filling facility near Reay Road in Mumbai was partly manual. After 25 years, one of my projects was to import a high speed automatic capsule filling machine, which transformed production volume and quality standards," remembered Shah, citing an example of how slow the pharma industry is in adopting new technologies. "The pharmaceutical industry, compared to banking, is relatively slow in adopting digital technology, but things have improved in the last three-five years," he said, emphasising that technologies like advance analytics will not only help in efficiency improvement, but also in manufacturing and quality processes. A. Vaidheesh, Vice President, South Asia & Managing Director, GlaxoSmithKline Pharmaceuticals, and President of the Organisation of Pharmaceutical Producers of India (OPPI), said the biggest fundamental challenge for India is unlike most developed countries, we lack an integrated healthcare system. In India, private healthcare accounts for 65 per cent of total healthcare in a non-insurance driven environment, primarily focusing on chronic diseases. Ayushman Bharat is a good beginning, but Ayushman Bharat 2.0 is required where everyone in the system knows what his or her role is. "Tech companies like Infosys or TCS should help us fill the information and knowledge gap in the industry. We should have a comprehensive body like a Health Promotion Council reporting directly to the Prime Minister rather than having different ministries targeting the same problem," he said. 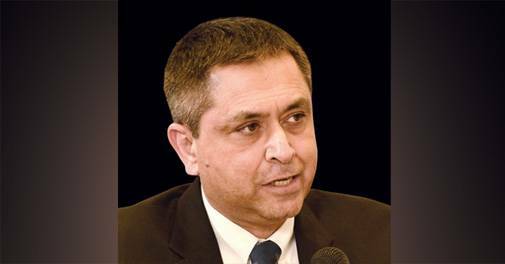 Kanish Malik, President and Global Head of Operations at Glenmark Pharmaceuticals, pointed out that a pull and push environment is required for any industry to evolve to the next level. So far, most segments have reached a foundation level such as the laboratory information systems, building management systems and the basic level of automation in the plants. On the quality side, there is a need for having controls and data integrity that drives the laboratory information systems. In manufacturing performance systems, a basic level of automation - about 60-70 per cent - has been done. A far more evolved system of data collection and management is there in R&D, the backbone of the entire Indian pharma system. The push strategy from the regulator and competition forced the industry to invest money in digitisation. Now, a product needs to be traced back until the end. The data generated at the manufacturing level needs to be available for each product. "This will set in the foundation for a quite different evolution of the industry," he said. Lack of authentic data on drug trade is still an issue and technologies like mandatory barcoding for drugs can change the scenario, noted Vaijanath Jagushte, former joint secretary of the All India Organisation of Chemists & Druggists (AIOCD) and former managing director of MSCDA, the drug distribution company formed by traditional drug traders. "We started digitisation in 2010 by forming our own database company and started collecting data directly from the distributors i.e. the first leg of digitisation. The second leg is underway, but there are some restrictions as rules and laws are not clear," said Jagushte. Sujay Shetty, Partner and Leader, Pharmaceuticals and Life Sciences at PwC India, said that a vast amount of data is going to be produced using technologies like AI that can be utilised in areas such as retina recognition and in predicting various forms of disease patterns, but data privacy and fraud analytics are going to be an issue. It is already a subject of public debate and governments will have to come up with extensive privacy and data protection policies. 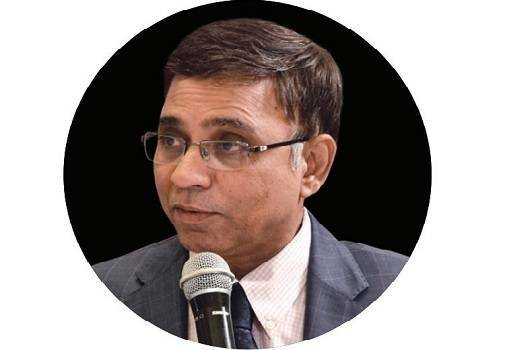 Prosenjit Datta, editor, Business Today, noted that with numerous health apps and wearable medical devices coming into the market place, it is imperative to monitor and regulate the efficacy of such next generation healthcare products. Shah pointed out that India's drug exports are higher than domestic sales as the industry exports to over 240 countries. This could happen thanks to industry's proactive efforts and the compliance standards that they adopted. "One should never depend on the government for policy or subsidy benefits. Whatever you do, it should cater to the interests of patients," said Shah. He further said that the period between 2014 and 2015 was an eye-opener for the Indian drug makers as they received maximum number of warning letters from the US Food and Drug Administration (USFDA). Data reliability was the biggest issue, which they tackled with the help of data analytics. "In the last three years, the number of warning letters related to data issues has come down to 20 per cent from 50 per cent earlier." Although the cost of compliance and upgrade to digitisation is far higher in pharma as compared to other sectors, Malik said cost should not be seen as a hindrance. "As long as you are able to afford the regulated cost of the change, it should be welcome," said Malik. The biggest issue is that pharma is only one segment of the healthcare ecosystem. Jagushte noted that neither the government nor the industry has data on the exact number of manufacturers or drug brands sold in the country. Malik said data analytics can help retailers decide what to stock in various seasons. Vaidheesh noted that the vision behind e-pharmacies is not just to have some online medical shops, but to capture data for analytics of prescriptions and then create algorithms for the government to analyse disease patterns and disease burdens. Shetty said healthcare industry is one of the most lucrative industries in the world, but full of frictions and anomalies and hugely protected by regulation. "It has not escaped the attention of some of the brightest minds in the world, the likes of Amazon and Berkshire. So, more technological and regulatory development would definitely pan out here," said Shetty. A lot of action can be seen in India in digital tech. AI-powered tools and technologies use your phone as an interface for a variety of things in healthcare such as fertility treatments, predicting lung cancer and sleep pattern distortions. Large generic pharma and MNC pharma use these digital tools to improve efficiency and revenue growth. Malik said besides tracing the product until the end, digital tech also provides a platform to generate information as to who bought what and at which location. "The evolution of the healthcare devices, monitoring systems and ability to handle huge data and analysis is happening. Micro dosage of individual drugs, and 3D printing of drugs and polypills are a reality. Therefore, the Indian pharma industry will have to transform itself aggressively to stay relevant in the future," concluded Malik. Shah felt the pharma industry would survive the disruption for two reasons: significant presence in fast-changing geographies, and a younger generation of entrepreneurs playing a key role in top pharma firms.